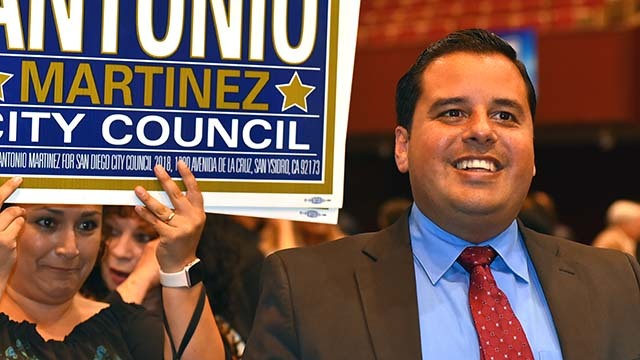 With the 5-4 Democrat majority on the technically nonpartisan San Diego City Council guaranteed to continue, the results of Tuesday’s election could potentially give Democrats a 6-3 majority immune to Mayor Kevin Faulconer’s veto. With a council super majority on the line, the partisan race for the council’s seat representing District 2 has become one of the fiercest in the city. 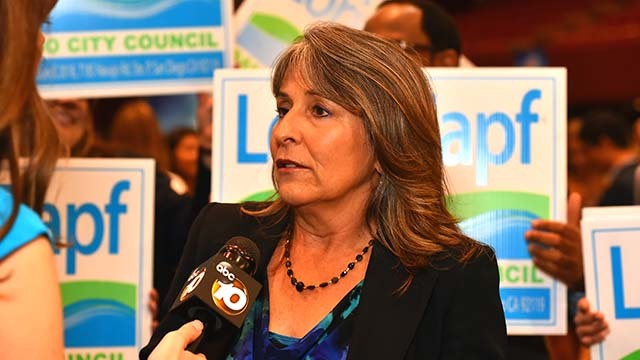 Incumbent Republican Lorie Zapf cruised through the primary with 44.6 percent of the vote, more than double anyone else’s share of votes in the district. Zapf shook off an August challenge to her re-election eligibility by third-place finisher Bryan Pease, who argued that Zapf was termed out because she had already served two terms. Her November challenger, retired physician and Democrat Jen Campbell, has argued that Zapf is more closely aligned with President Donald Trump than the coastal district’s left-leaning population, where Democrats outnumber Republicans by roughly 10,000. 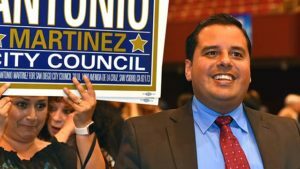 District 2 residents have also had campaign advertisements and mailers thrust upon them highlighting past comments by Zapf — which she later apologized for — disparaging gay people and homosexuality. Zapf’s mailers have argued that Campbell may have committed disability fraud, and should be dismissed as a viable candidate on that allegation alone. Both candidates have received large amounts of financial support from outside groups — labor unions for Campbell and business groups for Zapf. The campaigns of both women could theoretically spend a combined total of $2.4 million on the race by the time the election dust settles. Should Zapf lose, she would be the first incumbent City Council member to lose a re-election bid since 1991. Hough has also railed against Cate for providing a confidential memo from the City Attorney’s office about Measure E, the SoccerCity initiative, to SoccerCity officials in June 2017. Cate paid a $5,000 fine for the leak, but the state Attorney General’s Office opted in May not to charge Cate. 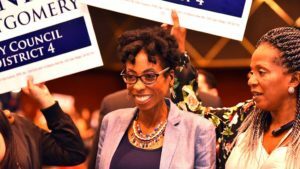 District 4 incumbent and City Council President Myrtle Cole is facing a challenge from fellow Democrat and civil rights lawyer Monica Montgomery. 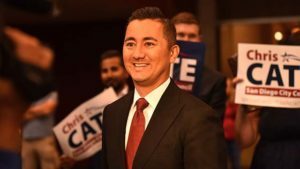 Cole’s second-place finish in the June primary, albeit by a meager six votes, surprised City Hall politicians on both sides of the aisle. Cole suggested to Voice of San Diego in July that her lack of a ground game during the primary was the main cause of the result. Montgomery is a former member of Cole’s staff who resigned last year when Cole suggested that some racial profiling is useful. Montgomery has argued that Cole is beholden to City Hall politics, keeping her from effectively representing her District 4 constituents.